Baby shower punch recipes- Grab some refreshing ideas for your party… and enjoy! In a large kettle, combine water, sugar, and strawberry gelatin. Bring ingredients to a boil; stir frequently. Boil for 3 minutes. Mix in pineapple juice, orange juice, and lemon juice. Put your mixture in two separate containers and place them in the freezer over night. contents of each container with 1 bottle of Sprite/7 UP in a punch bowl; mix until punch has a slushy consistency. TIP: Most baby shower punch recipes should be prepared one batch, at a time. Prepare the second batch, after 3/4 of the punch has been drunk by your guests. This will ensure, guests have a fresh cold beverage to enjoy. Pep it up with Rum! Baby shower punch recipes can be made with alcohol. Be sure to clearly label any beverage that contains alcohol. black tea. Mix in sugar, rum, and Sprite/7 UP. Scoop out 3 cups of the prepared punch from bowl. Combine the 3 cups of punch with 12 ounce can of ginger ale, and 1.5 cups of cold water. extract together (stir well). Chill over night, but do not freeze. The following day, add the ginger ale to your mixture and stir. Pour mixture into your punch bowl. Refresh as needed. Prepare your ice the day before the party. Fill your mold ( I like to use a bunt cake pan or large muffin pan) with 3/4 punch and 1/4 ginger ale, add fruit slices/pieces of fruit. Freeze for at least 12 hours. 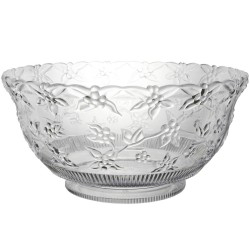 5-10 minutes before your guests arrive; add the ice mold to your bowl, pour cold punch over ice. Now your punch is ready to serve! This is one of my favorites, and it’s so easy. 20-30 minutes before the party begins; add 1 gallon of ice cream (slightly softened) to punch bowl. Add 1.5- 2 liters of soda. Mix in O.J and Sunny D. Mix well and allow ice cream to melt, but keep this punch very cold. I suggest, re-usuable ice cubes, regular cubes may water down the your punch. Where would you like to next?